PNG Kumuls center, the late Kato Ottio has finally been laid to rest today at his Tatana Village in the nation's capital. 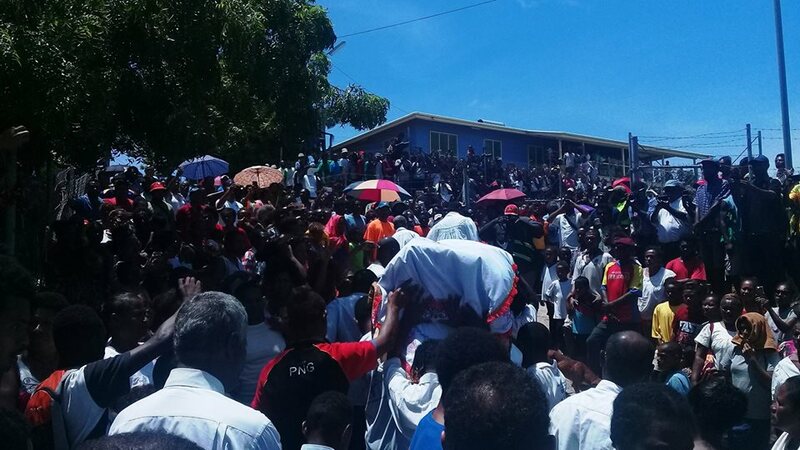 The burial ceremony which included a funeral service at the local United Church was attended by hundreds of fans, friends and family from across Port Moresby. Several gun shots were fired in honor of the late Ottio before he was lowered into a tomb. Kato Ottio is Kumul number 269 and Hunters number 29. He had passed away a week ago while training with the SP PNG Hunters. He was bound for the Widnes Vikings club in the English Super League, however succumbed to what was medically reported as heatstroke.